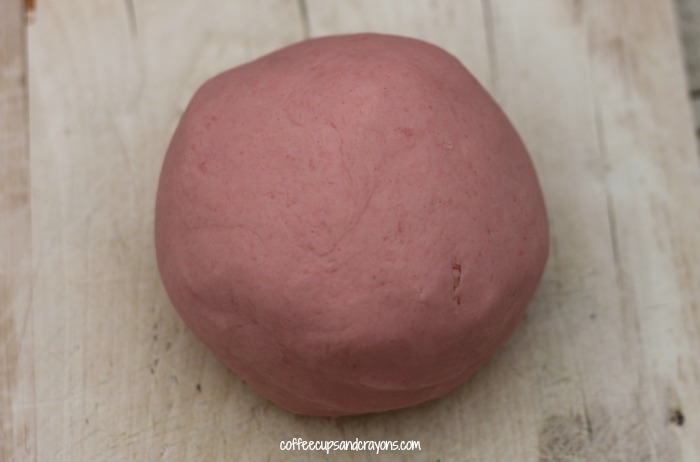 Pink lemonade play dough is so much fun to play with and smells so good! This no cook recipe is also easy enough to throw together quickly so you can whip up a batch in no time. Mix all the dry ingredients together and then add the oil and the boiling water. As you stir it the pink lemonade-y smell will make you happy! After its mixed together knead it until it has a soft play doughy consistency. They play with it! My kids want to set up a pretend pink lemonade stand tomorrow. 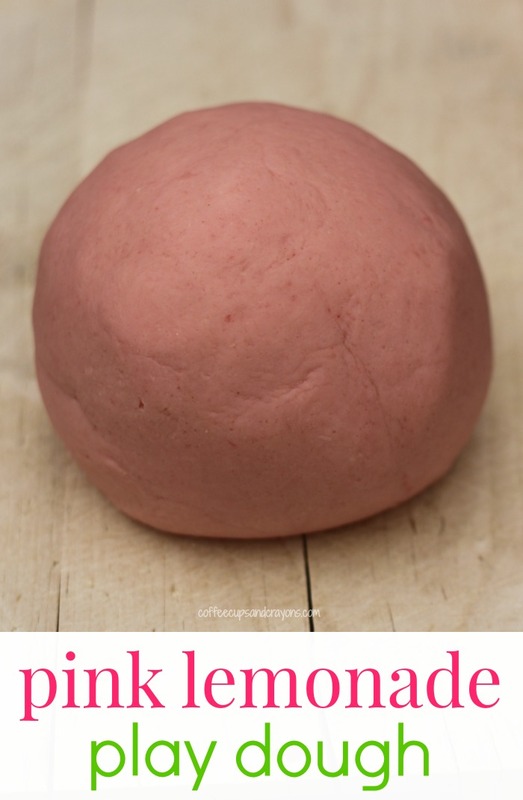 This playdough looks so good, it’s making my mouth water, lol. I KNOW you can’t eat it but I love lemony things:) How perfect for a summer play day! Ha! I am a huge lemon fan too so I know what you mean! Playdough was very sticky and kids were unable to play with it. I even added more flour, let it cool, etc. 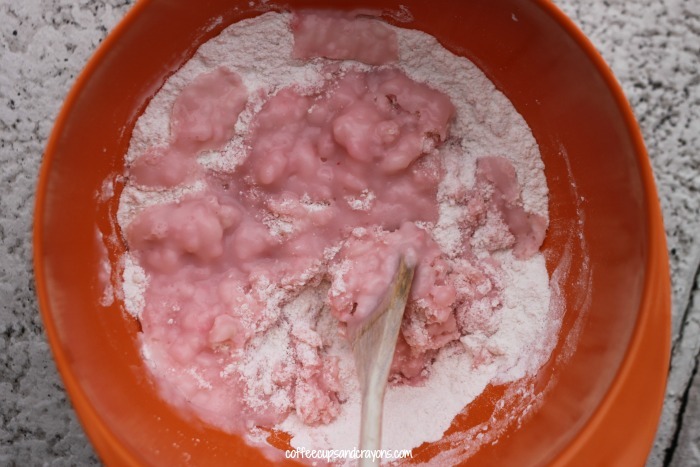 Try kneading it more next time instead of adding more flour. Sometimes with play recipes you need to knead it more than you think you would. 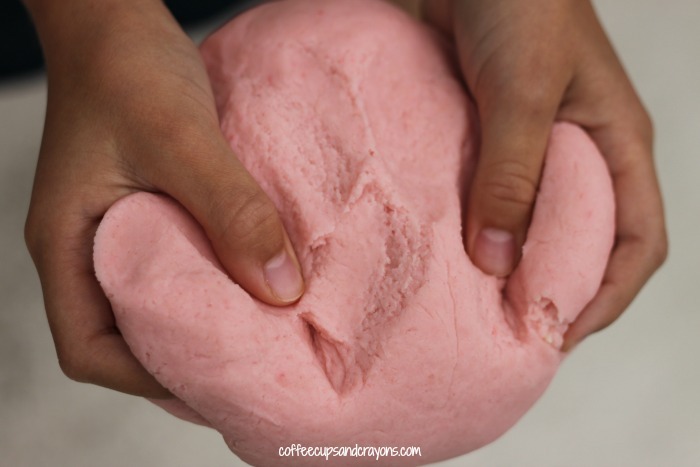 Humid days also mess with play dough recipes just like they do when baking. Hope the next try is a success!